“The Legacy of Teaching: How do we learn? How do we teach? How do we pass it on?” This is a theme central to Mr. Katz’s movie, Talent Has Hunger, an inspiring film about the power of music to consume, enhance and propel lives. As a member of the Cleveland Quartet, Paul Katz performed at the White House and on many mainstream television shows. Katz has received many prestigious awards and honors, including the American String Teacher’s Association “Artist-Teacher of the Year, 2003. 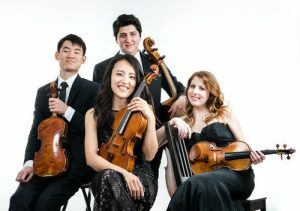 Katz’s numerous recordings as soloist and with The Cleveland Quartet have garnered 11 Grammy nominations, Grammy Awards for Best Chamber Music Recording and Best Recorded Contemporary Composition in 1996, and “Best of the Year” awards from Time magazine and Stereo Review. 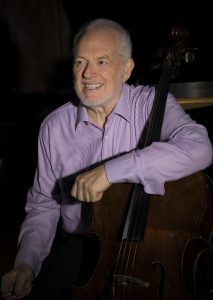 In 2011, declaring that “our art is passed from one generation to the next, not by books but by mentoring,” Katz launched CelloBello, a website designed to connect cellists of all ages and performance levels. Katz is a passionate spokesperson for chamber music the world over, and served for six years as President of Chamber Music America. In September of 2001, Paul Katz joined the New England Conservatory faculty, following five years at Rice University in Houston, and twenty years of teaching at the Eastman School of Music. ensembles from Maryland Classic Youth Orchestras. ASTA MD/DC Chapter greatly appreciates MCYO’s generous sponsorship of this event! All Participants must register: ASTA Members, students of ASTA members and MCYO students, $0 online. At the door, $5. This event is sponsored by Strathmore and MCYO. *Registration and attendance at or participation in the ASTA Mini-Conference and constitutes as agreement to ASTA’s use and distribution (both now and in the future) of the individual’s image, likeness, or voice in photographs, video tapes, electronic reproductions and audiotapes of such events and activities for promotional purposes. Should we bring instruments to this event? Good search with ‘Blackbox Theatre’ shows the Levine Music located in Silver Spring. Would you clarify the Blackbox Theatre is in the Strathmore? Thanks. The Blackbox Theatre is located inside the Education Center at the Music Center at Strathmore, located at 5301 Tuckerman Lane in North Bethesda, Maryland. If you park in the garage, walk over the sky bridge, then enter Strathmore through the glass doors. You will see another set of glass doors inside the building leading to the Education Center where Levine School and City Dance are located. Take the elevator inside the Education center or stairs up a flight to the Blackbox Theatre. We will post signs to help direct people. I am so glad you are coming and look forward to seeing you on Sunday!